New Watch. 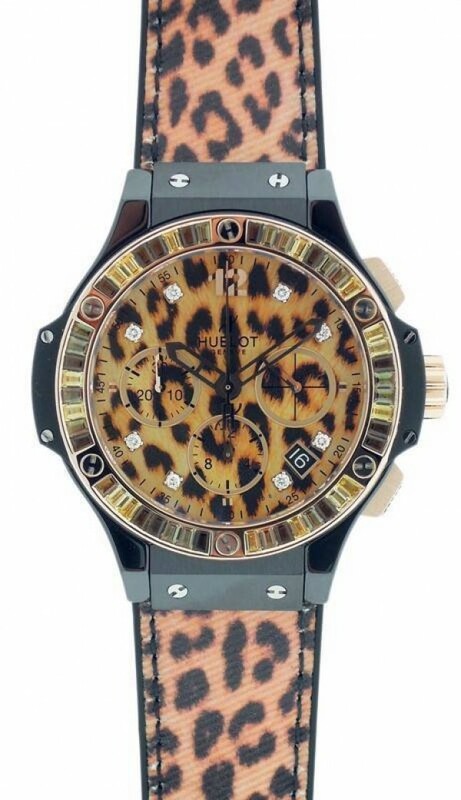 Own this beautiful Hublot Limited Edition watch with Leopard Dial, Strap and even bezel. Watch is brand new and comes with original box and papers. Watch also offers Diamond Marks on Hours, date, and chronograph.